USDA Rural Development provides financial assistance in the form of grants and guaranteed loans to agricultural producers and rural small businesses to purchase renewable energy systems or make energy efficiency improvements through the Rural Energy for America Program (REAP). This program provides funds for the purchase and installation of renewable energy systems and to make energy-efficiency improvements. The renewable energy projects range from installation of solar, geothermal, wind, and biomass; and energy efficiency improvements to irrigation systems, poultry houses, upgrading air conditioning, lighting and refrigeration systems. This round of grant applications has designated funding for projects of any size with maximum grants limited to $500,000 for renewable energy projects and $250,000 for energy efficiency projects (25% of total eligible project costs). Any eligible applications not funded during the October 31, 2015 funding cycle will be reconsidered. All agricultural producers, including farmers and ranchers, who derive 50% or more of their gross income from agricultural operations are eligible. Businesses in a rural area, meeting the Small Business Administration size standards, may also apply. A private entity, a rural utility, and rural electric cooperatives are typically eligible; however, non-profit and public bodies are not eligible. Telephone: 402-437-5554 / Email: jeff.carpenter@ne.usda.gov. 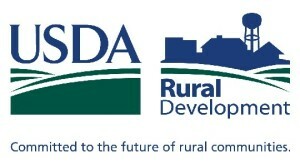 To find the office that serves your county, visit: http://www.rd.usda.gov/programs-services/rural-energy-america-program-re… Click on “View All State Program Contacts.” You may also visit this same website for more general information on the program and details on how to apply for funding. Nebraska incentives, grants and loans for renewables and energy efficiency- 46 programs. (DSIRE). The Database of State Incentives for Renewables & Efficiency (DSIRE) is the most comprehensive source of information on incentives and policies that support renewables and energy efficiency in the United States. Established in 1995, DSIRE is operated by the N.C. Clean Energy Technology Center at N.C. State University and is funded by the U.S. Department of Energy. This entry was posted on October 21, 2015 by Helen Deffenbacher.